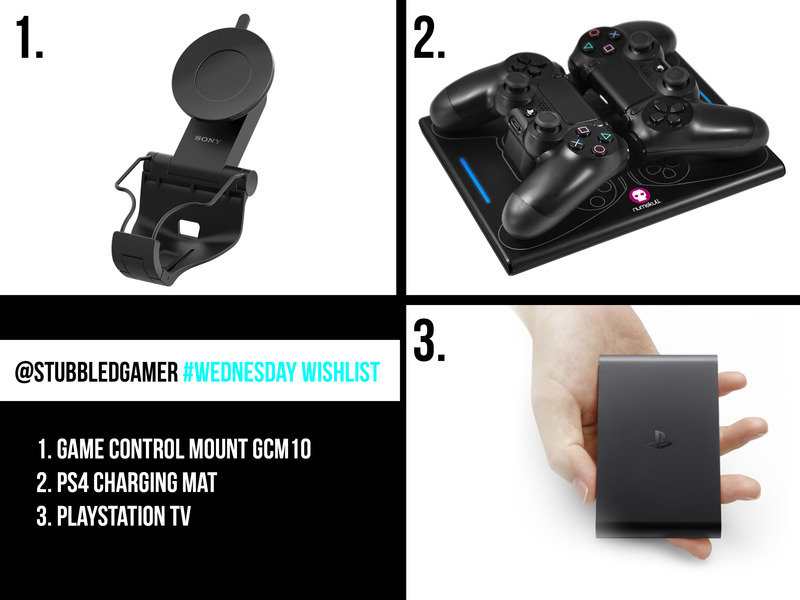 Here is my #WednesdayWishlist for this week. Just a few accessories for the Playstation4 I feel could improve my PS4 gaming experience. A device designed to link your Dualshock4 to your smartphone. This can be used either to play smartphone games or far more importantly to play your PS4 games on your mobile if used in conjunction with the PS4 Remote Play App. Great if there are no TVs available for your gaming session. This accessory has a slick visual design to accompany a slick function. Wirelessly charges up to two Dualshock4 controllers upon contact with the mat. A cool way to charge your controllers when you’re not using them. You can stream your PS4 games via this device to the bedroom TV so you can carry on gaming when the main TV is being used to watch Come Dine With Me… this has the potential to avoid many arguments. The PlayStation TV’s price keeps dropping and dropping. I am just waiting for the lowest of low price before purchasing. That charging mat looks extremely slick. When The PlayStation TV first came out, I definitely thought the price was too high for what it delivered. I do feel that the price is more realistic now, however I wouldn’t be surprised if it did drop down in price and I definitely wouldn’t complain if it did.